#12. 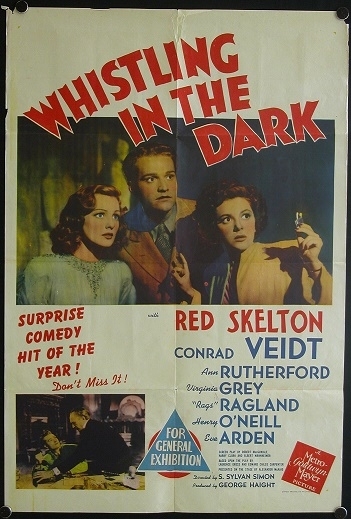 Whistling In The Dark ( 1941 ). Although previously discussed on an earlier thread I will include this film again here for any new members or those who may not have originally seen it or for any people that may not remember it. All original classified newspaper advertisements that I have located in 1942, 1946, 1948 and 1950 all have the Not Suitable For Children or ( A ) rating appearing on them all. Thank you from Lawrence and Leonard. Okay, Larry. Keep up the good work! # 13. No Time To Die ( 1958 ). Titled Tank Force in the U.S.A. but released as No Time To Die in the U.K. as well as Australia. The Australian daybill pictured above, and the only one I could locate, for whatever reason had a For General Exhibition snipe attached and the original Not Suitable For Children rating blanked out. The newspaper advertisement appearing above, along with one other I have located, have the Not Suitable For Children classifications appearing on them. 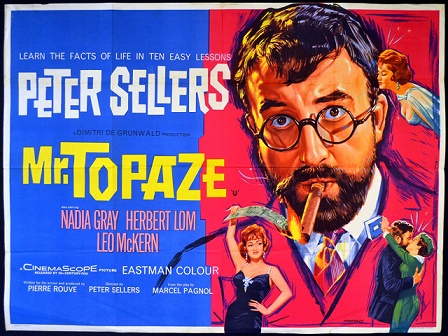 It would be interesting to see any other images of any Australian posters of this title to see what rating appears on them. # 14. 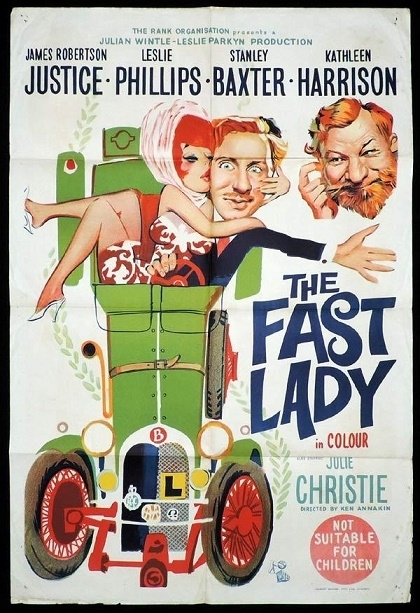 The Fast Lady ( 1962 ). Both copies of the daybill and the Australian one sheet originally had Not Suitable For Children printed on them but only the daybill has had a For General Exhibition snipe replacement attached over the original censorship classification. 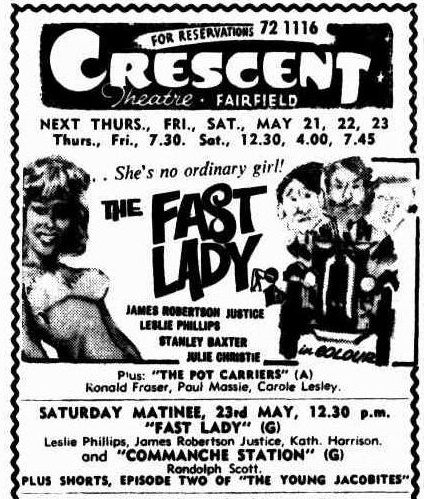 The two The Fast Lady newspaper advertisements both were printed With ( G ), the For General Exhibition abbreviation, printed on them. The daybill and the one sheet were the only images I could locate so I would be interested in seeing any other examples of these two styles, to see what classifications appear on them. 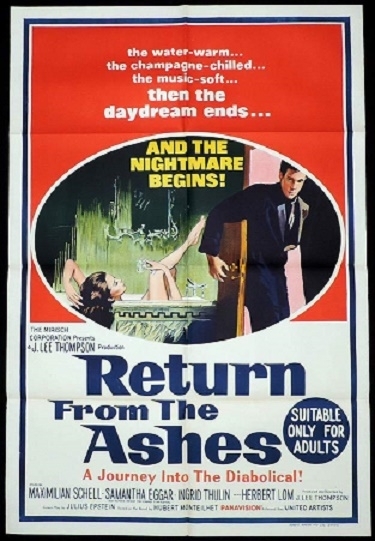 Return From The Ashes ( 1965 ). The daybill of Return From The Ashes seems a simple case of originally a printer's error. There was no way the film would have received a For General Exhibition rating at any time. THE PURPLE HILLS ( 1961 ), Previously mentioned within the forum regarding the mention of black and white on this Colour U.S. released film. I have now now included it here for the Not Suitable For Children classification covering the original printed For Genereal Exhibition classification. 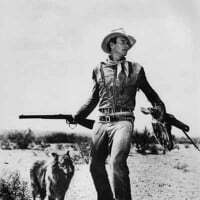 Not strictly for this thread but this image of Walk Tall ( 1960 ) is being used to make a point. Robert L. Lippert's Associated Producers Inc. Productuions, released by 20th Century Fox from 1959 to the mid 1960's produced a string of 'b' films during this time. Most of the films were filmed in black and white but some were shot in colour. 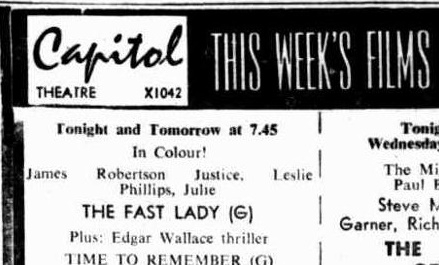 It appears a couple, at least, of the films were shown in Australia in black and white, most likely to cut costs Why the black and white sticker on The Purple Hills ( 1961 ) and not the Walk Tall poster is a mystery. # 17. The Cockeyed Miracle ( 1946 ). 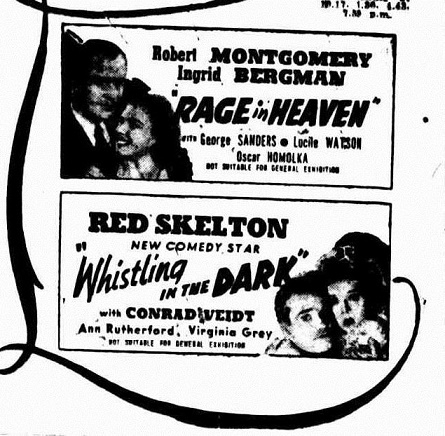 The Australian daybill that appears above, along with the Australian one sheet have a snipe applied, altering the censorship rating of '' Not Suitable For Children'' to '' For General Exhibition''; Looking at the film one would think the film is a ''For General Exhibition'' film if there ever was one. 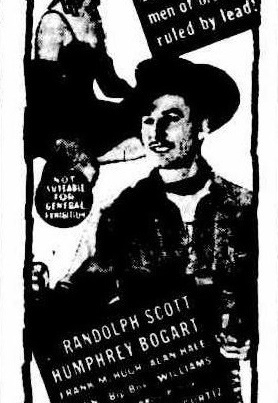 All the extensive newspaper advertising I have sighted had the '' For General Exhibition'' or ''G'' rating applied, except for one advertisement with just the name of the film and a ''Not Suitable For Children'' rating, which I believe was just a mistake. It appears to me the printer's of the two posters applied the incorrect rating, which was then spotted and the amended classification snipes were applied. It was possible it was just a case of wrong information was given to the two printers in the first place. 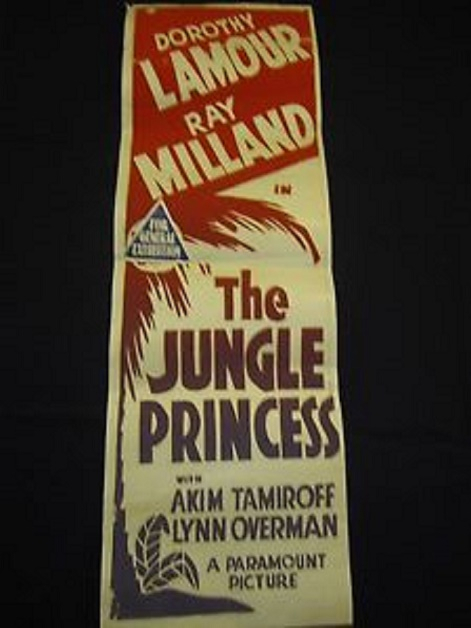 The Jungle Princess ( 1936 ). Most likely a 1940's re-release daybill and the original printed on the poster ''Not Suitable For General Exhibition'' Australian censorship rating has been covered over by a '' For General Exhibition'' snipe. Nurse On Wheels ( 1963 ). For General Exhibition snipe placed over original printed Not Suitable For Children censorship rating. With all the examples that are regularly turning up, one has to wonder how many would have been legitimate changes, due to successful appeals from the importer / distributors and perhaps some printer's errors were involved, compared to how many may have had snipes added illegally by the theatre owners at the time of release at their cinemas, It was suggested once, if my memory holds up, that perhaps copies in the hand of the general public years late were altered for some reason on another. 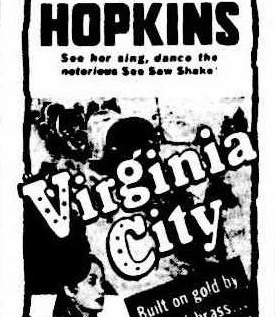 Virginia City ( 1940) rare long daybill from John's collection had a ''Not suitable for general exhibition'' Australian censorship rating originally printed on the poster, but someone at some time or another has attached a ''For general exhibition'' snipe to the poster. The two more mainstream Australian newspaper advertisements, one from 1940 and one from 1941, have the original rating appearing on them. The majority of other advertisements I managed to locate also had the ''Not suitable for general exhibition'' rating. The ones that I did find with the ''For general exhibition'' or ''G'' rating appearing on them were from advertisements placed by either suburban or country cinema owners. 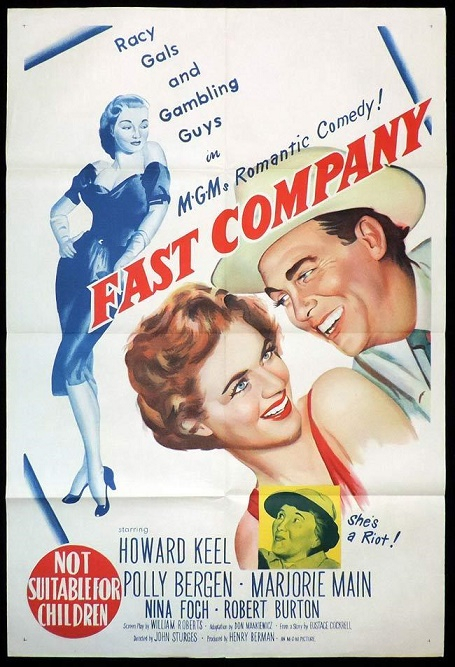 These were mainly very small ad versions with usually only the film's title and the stars name and very little else used, and often they got the ratings, intentionally or unintentionally incorrect. I saw another one the other day...darn it can't remember now! Fast Company ( 1953 ) Australian daybills and an Australian one sheet. The unknown printer of the Australian one sheet and the vast majority of Australian newspaper advertisements located from when it was released in Australia, indicate that ''Not suitable for children'' was the correct classification. It certainly appears to have been just a mistake at W.E. Smith's with the wrong classification applied to the poster, then altered when they realized their mistake..
Well spotted Mark. With the Face In The Night Australian daybill poster appearing to have two censorship ratings printed on it I believe the following occurred. 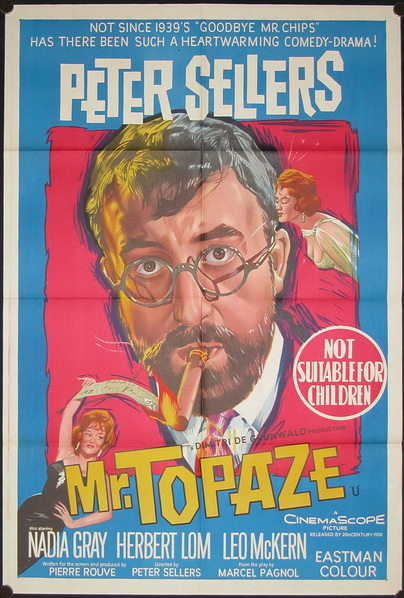 As was the case with the Mr.Topaz Australian one sheet that featured on "'Hondo's This and That'' thread on May 7, 2018, where a U.K. 'U' certificate was also included, along with the Australian 'Not Suitable For Children' rating, it was just a simple case of a printer's error being made by F. Cunninghame when copying the U.K. artwork. No proof as I cannot locate any U.K. artwork of Face In The Night , but I am convinced that my explanation is correct. I wonder where It resides ? If you look closely there is an X just next to R rating. 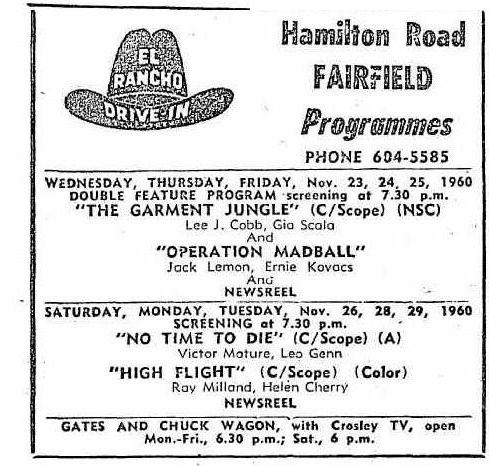 Doesn't appear on the re-release daybill though. 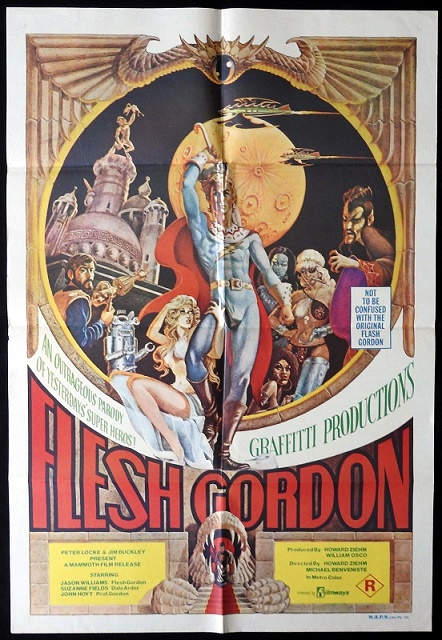 Flesh Gordon ( 1974 ) U.S.A ( no " X '' ) one sheet and Australian one sheet, with a very faint '' X '' appearing on the poster. 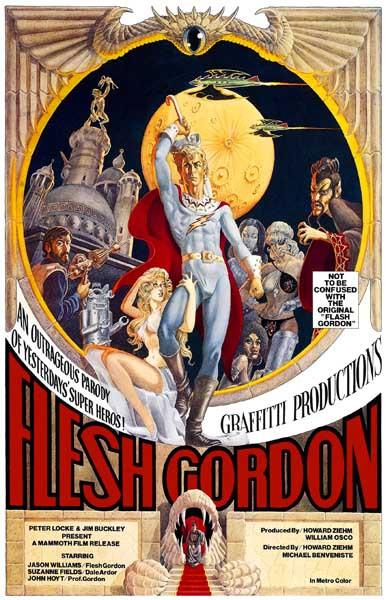 Although rated ''X '' in the USA no sign of this rating on any U.S.posters sighted of Flesh Gordon. Interesting. Never noticed this before. And those two big yellow rectangles are ugly and annoying! Such an oddly chosen colour. Is the R stamped on or printed? R is printed. I didn't realise there were two versions until recently. I actually sold the other as orig release in the past. Notice the title now influenced by Star Wars space crawl style logo.